Every once in a while during my online wanderings, I find a gold mine. Atlas Obscura is a collection of weird and interesting facts (people, places, inventions, animals, discoveries), sure to spark ideas in the writer’s brain. The posts are short and usually photo-rich, and you can even have a digest of them delivered to your inbox for ongoing inspiration. Check out the sampling below! Oh, my goodness! 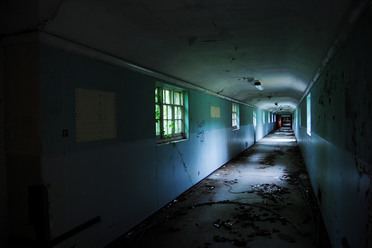 Look at these creepy hallways, eroding walls, dirty windows and cracked floors. If you need visuals for a horror story or even just somewhere spooky your characters spend a night in while they’re on the run or on a dare, these photos will come in handy. So many stories are crying out from the bones of these abandoned places. Does your story’s culture pre-date planetariums and telescopes? That doesn’t mean they can’t have a keen understanding of the movement of the stars. 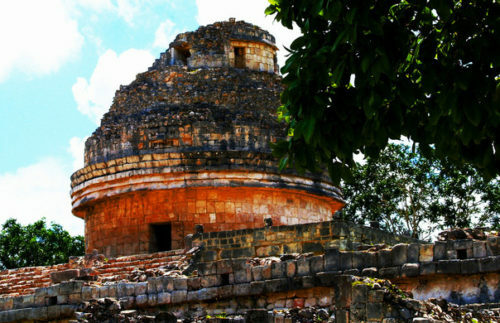 Check out this ancient Mayan observatory for ideas. Want some unique aliens or animal species in your fantasy or scifi story? Or even something weird right here on Earth today? 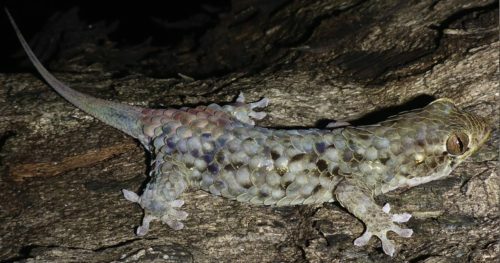 This lizard gives me several interesting ideas! Writing about the Holy Grail? Here are some locations to consider including. The article also has links to related fascinating places, like tunnels under Jerusalem, a “money pit”, and a place where Nazis are suspected to have performed pagan rituals. C’mon, tell me that doesn’t sound like the basis for a hilarious (or horrific) short story? And if bunnies are too “cute” for you, try this one: Found: Giant, Swimming, Venomous Centipedes. The Bermuda Triangle isn’t the only place where planes have disappeared under mysterious circumstances. 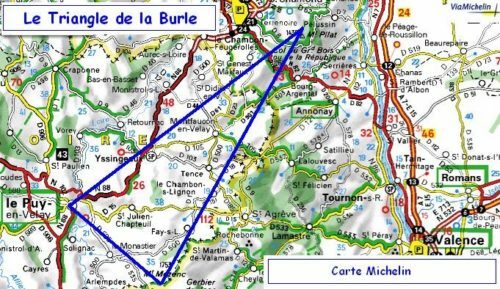 In France, the Burle “Triangle of Death” is where more than 60 victims died in plane crashes. These incidents are said to be accompanied by strange events and UFO sightings. If you write a story using something from Atlas Obscura, let us know in the comments. Share your favorite writer’s inspiration sites, too! This fall and winter I’ve heard more friends talk about social media pain than ever before. Unfriending over politics isn’t new. 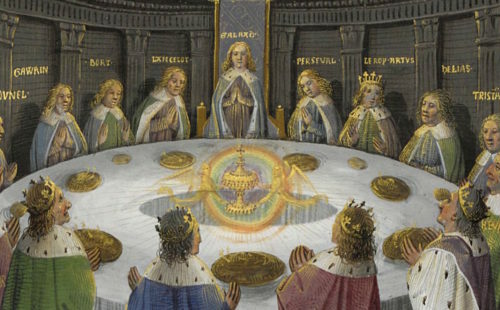 Long before friendships went online, there was a long-standing social rule (in some circles) about not talking politics or religion. At least not at social gatherings that were intended to remain pleasant. But online communication creates an environment in which some people feel that they are free to be rude, nasty or insensitive without the usual consequences they would experience if they’d behaved that way face to face. 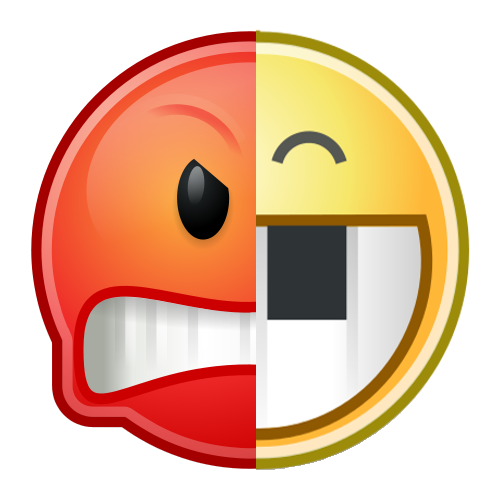 Even people who are normally polite are lulled into expressing raw emotions without concern for the feelings of the person receiving their words. I’m no expert, but I’ve collected a few strategies that have helped me keep my sanity (and some friendships) in the midst of this bizarre social landscape we live in today. If someone is ranting about something they saw online, something that happened to them, or a pet peeve, that is not the time to offer a friendly, contrasting viewpoint. It may look like a great chance to debate a topic or have a lively discussion, but if you are seeking a real “meeting of the minds”, then save your arguments for another time. People who are venting want to vent. Give them a sympathetic nod, an understanding pat on the back, or just hold your tongue. If you really want to discuss the topic in a rational way, then wait a while (at least a few days or a week) and introduce the topic on your own account and invite them to join the conversation. Beware: Sometimes emotional venting is hidden in the trappings of intellectual discussion. Everybody has a history. Each person’s education, personal experience, and passion fuels his or her position on any number of hot social topics. It is possible that if you walked in their shoes for their lifetime, your own conclusions would be similar. Embrace the reality that your own biases color your view of the world and no doubt blind you in some areas, and speak from that understanding. Even the things you are convinced to your bones are absolutely true may be significantly influenced by your personal filters. Hold your conclusions loosely, especially on topics that have a history of controversy and contradictory conclusions based on the same body of evidence. If scientists, investigators or philosophers haven’t resolved the debate in decades (or centuries), what makes you so special? The mind that is not willing to give a nod to a different interpretation of the evidence is a small one. I’ll say this one again: Many hot topics have been controversial for decades or even centuries. Do you really think that you are the pinnacle of human intelligence and have somehow gathered all the answers? Oh, I see. You have a degree in this subject or you’ve been studying it for years. Or at least, you have a quote from an expert that sums up the whole debate in 25 words or less. Surely then, you know it all. Yes, that was sarcasm. Yes, sarcasm is a bad idea when seeking rational discussion online. But since I’m not talking about you personally (you’re too smart to fall into that trap, after all), I hope you weren’t offended. If there’s anything I’ve observed in my time on this earth, it is that the body of human knowledge is ever-increasing, ever-changing and highly subjective. Even “science” is incredibly limited in its scope, as any true scientist should be willing to admit. Constantly, new things are being discovered, long-held conclusions are being challenged, and hypotheses that have become traditionally held as fact are being debunked. Be open to the idea that “the other guy” could be right, no matter how certain you may feel that he is not. A common pitfall in social interactions involving any form of debate is the vilification of your opponent. Not just as a form of attack to dismantle their argument or credibility during the debate, but as a basic assertion in your own mind. This is a terrible trap. The disrespect of others closes your mind and heart to hearing anything of value that they might offer. 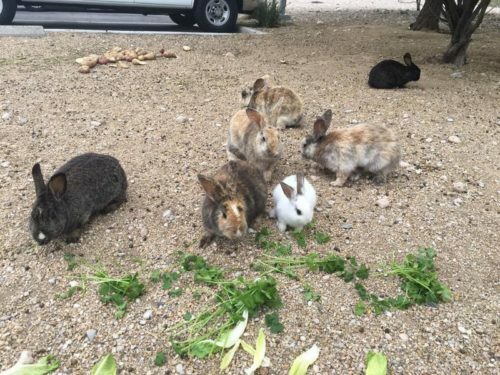 For those of us truly interested in understanding the others with whom we share the earth, it’s important to exercise a level of tolerance beyond the average. Look for points of agreement, wherever possible. We each may feel that our way is the best and highest way, but viewing others as “less than” ourselves is always a step in the wrong direction. With the advent of social media, many of us have been surprised by the politics we discovered under the surface of our co-workers, relatives, friends from college and high school, fellow church-goers, or celebrities. Have you found yourself uncomfortable with the social posts of people you know in real life? It’s time think back to the times you’ve enjoyed their company. Meals shared, activities attended together, friendship and support exchanged. If those interactions carry the weight of authentic friendship, if you know when you look in their eyes that they care about you, yet the news stories and vitriolic memes they share disturb you, I encourage you to take action. Either forgive them their poor choice of memes or challenge them on it in a face-to-face conversation. Explore the friendship and determine whether it is real or not, whether it is something you value and want to keep — or not. What level of tolerance do you actually want to practice? “Tolerance” sounds like a worthy thing, and in theory it seems like it would result in peace. At the same time, tolerating (continually putting yourself around) a dramatically different viewpoint can be stressful and trigger your body’s fight or flight responses. This is not a healthy way to live, day to day. There are times when it is wise to remove yourself from this sort of stress — by removing those viewpoints from your social media feeds. Unfollowing or unfriending is a legit way to preserve your own health, when done without malice for the purpose of remaining at peace. See the biases in my post? I value diversity in friendship: I tend to want to keep friends around, even when we disagree on some things. I value perspective: Emotions don’t hold as much weight for me as the long view of history and of my life’s legacy. I value peace: Even though I like having friends who think differently and I want to be open to a variety of perspectives, I’d rather walk away than keep strife in my life. What do you value? How do you stay sane in the midst of social media insanity? Share in the comments. Novels have long been treated as the ultimate, most legitimate story form for fiction writers. Novels are still the dominant story form, but with the changes in reading tech other forms are gaining popularity. Transformation in technology over the past 20 years have created an entirely different landscape for creators of written entertainment. 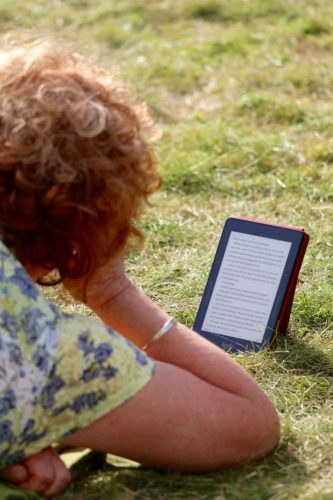 Readers now consume short stories on their cell phones while sitting in waiting rooms, children play with interactive stories on computer tablets, episodic serial fiction is making a comeback and novellas are just the right length for a lazy afternoon of reading. I enjoy reading, but my life is so packed with projects and family activities that it’s difficult to get through an entire novel. It can take a month for a single book. Still, reading short stories doesn’t bring the same experience as a longer work. A novella is the perfect compromise: long enough to immerse me in the story, but short enough to read in an evening or over the course of a couple of days. Not only that, but as a reader I find the wait between novels to be problematic. If an author puts out a book every year or two, I often forget the story arc between one book and the next. That’s why I try to wait until a book series is finished before starting on the first novel in the series. Satisfy your fans and don’t let them forget you! Just think about it. Sometimes a year or two feels like a really long time to wait to see something new from an author you really love. One of my recent #specfic author discoveries, Stant Litore, has been putting out shorter works in between book releases, and this totally satisfies that itch to read another Stant story. If you have a fan base, or if you’re trying to build one, this is an effective way to stay fresh in your readers’ minds. 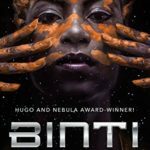 Is It Time for YOU to Write a Novella? Do you have a novel in the works that won’t be published for at least another 6 months? Was your last novel published more than 2 months ago? Do you have a story idea which isn’t necessarily suited for a full novel? Do you think you can write a quality 20,000-word story more quickly than you’ll write your next novel? Do you have a month or two available to devote to a novella? 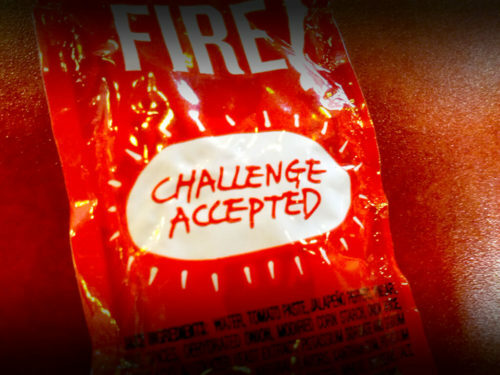 If your answer is “yes” to any of the above, go for it. Give yourself a month to draft it, a month to polish it, and put your novella out into the world. If you have a novel you’re working on, make the novella do double duty (if possible) and use it to flesh out your characters or story world. Ready to try writing a novella? These authors (from various genres) share their insights. You’ll see similar advice from each, but I find it helpful to read at least 4-5 articles from different perspectives to glean what fits my own style. 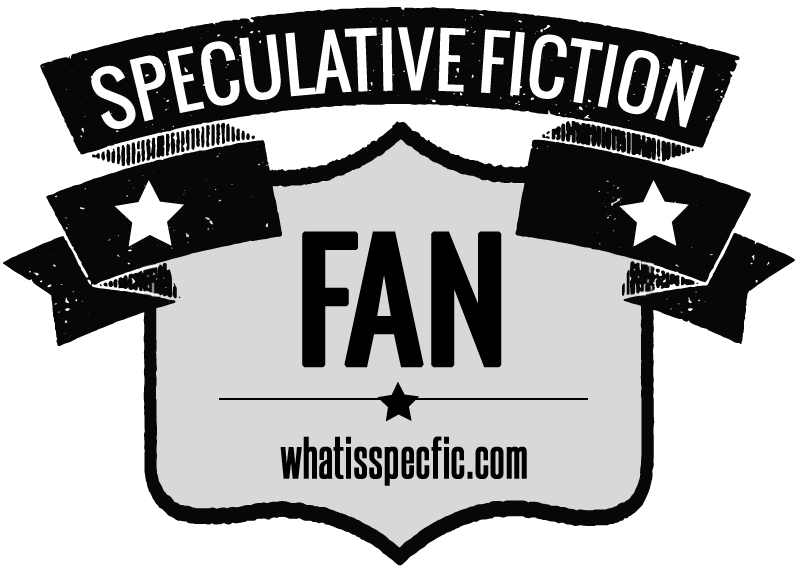 Got a #SpecFic Novella and Wondering What to Do With It? 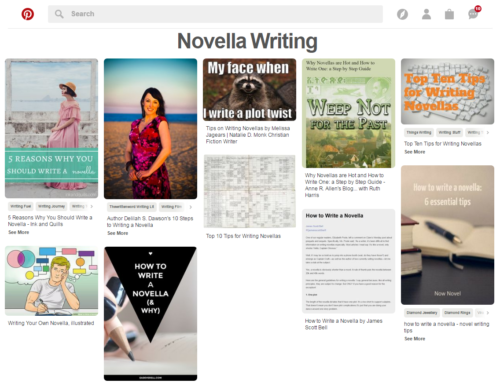 If you have a Pinterest account, follow my Novella Writing board! Let’s celebrate the death of these overly beautiful descriptions, the excising of our explanatory exposition, the bits and bobs that got cut from the final version of our stories. On the last day of each month, I will post on my blog some of my “dead darlings” and invite you to share yours. As you edit your work throughout the month, save these bits! Or just come on over and add them to the comment section of the latest month’s dead darlings post. I’ve been lied to all my life. For some, it was self-preservation. For most, it was self-seeking and power-grabbing. I don’t like liars. I killed most of them. But the lie I never expected, the one that unmade me, was the lie told by the one who Made me. The one who raised me. Who gave me everything I ever needed and more than I ever wanted. Who fed me with his own blood and told me he lived to see me on the throne of the underworld. Must I say his name? My father and Overlord of the New World, Sargassus. The dancers looked at me like they wanted to eat me alive and well, I found out later that’s pretty much exactly what they wanted to do. But I didn’t know that. And that’s good, because I think my voice would have dried up like a prune and only a pitiful squeak would have come out if I’d known what they were thinking. The Agency’s science geeks call us lycanthropes. Lycan, werewolf — whatever. A rose by any other name still wouldn’t smell as well as I do. Post some of yours in the comments below! To make this even more fun, share this post on Twitter or Facebook and tag all your writer friends. Let’s honor the fallen phrases, the lost alliterations, the retired repetitions. Our stories are better without them, but that doesn’t mean they aren’t worth a final salute! 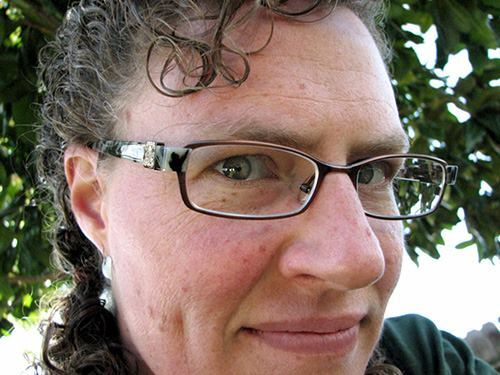 Last month I had another chance to guest blog at AlmostAnAuthor.com, under the monthly Splickety Sentinel column. In my role as associate acquisitions editor at Splickety, I’ve seen a lot of stories. 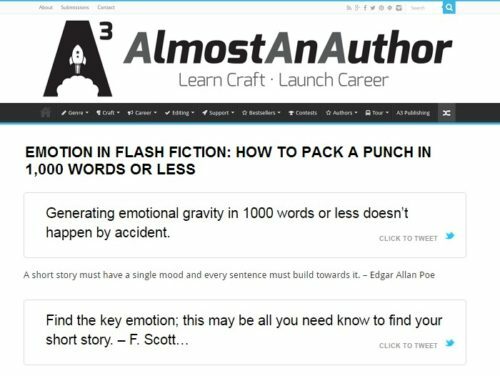 I share some tips about how to engage a reader’s emotions in less than 1,000 words. Voidrunner – This story covers decades of a life in 823 words. It also uses setting and repeated imagery to enhance the emotional impact. The Circle of Life – This story contains the familiar emotions of a sibling helpless in the face of her sister’s selfishness and then turns it upside down. Sparg – I first read this story in 2013, and will never forget it. So sad! Well, today I’m here to offer those beautiful little bits of writing a second chance at life. And not just life, but life everlasting. Well, as everlasting as the Internet, that is. On the last day of each month, I will post on my blog some of my “dead darlings” and invite you to share yours. 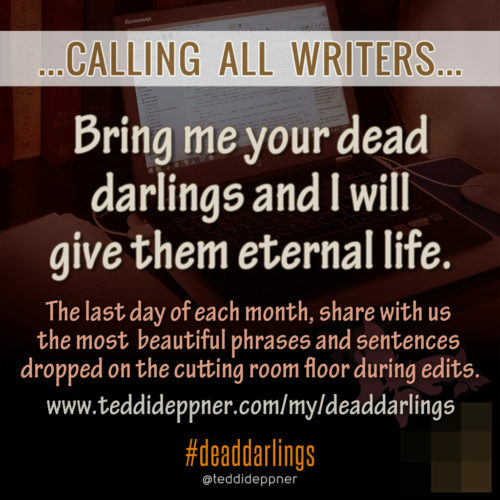 So as you do your edits throughout the month, save them aside — or just come on over and add them to the comment section of the latest month’s dead darlings post. The smell of cinnamon pinecones. The sparkle of glitter that made its way into each wrinkle of your coat, the strand of tinsel clinging to the cuff of your pants, whether or not you’d touched a single decoration in the past twenty-four hours. She couldn’t raise a Jewish child around goyim who didn’t respect her people, their traditions. Amelia had always defended a woman’s right to choose, no question. But she arranged her own life at every step so that she would never face that choice. A significant blood trail led from his seat to the pillaged medkit. Oh, snicks and rutting nesters!